With Glittering Eyes: Friendship and Turtles. This is a picture of my best friend, Nicole. This picture was taken at a local golf course. As she and I we were buzzing around hole #13(ish), we (Nicole) saw a turtle trying to cross the fairway. This particular turtle wasn't in any danger, but we couldn't pass up the moment. 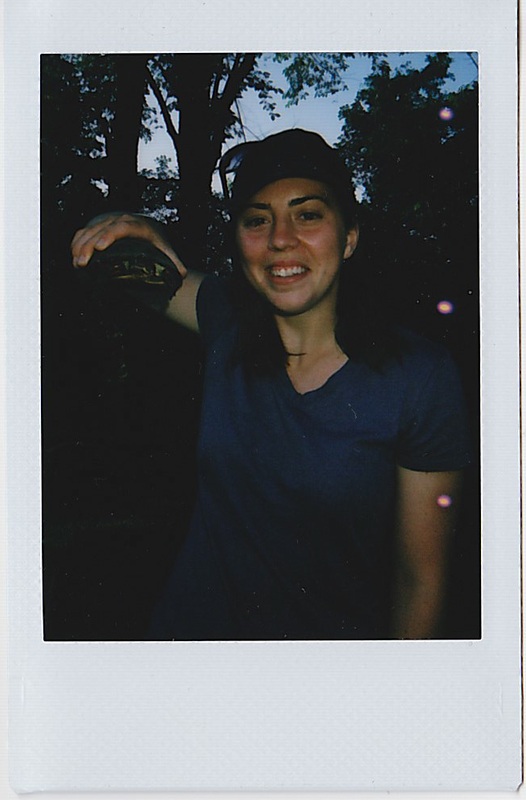 Nicole loves rescuing turtles. More specifically, turtles that are crossing busy streets. When she sees them, she pulls over and helps them. When I first discovered this little passion of hers, I was amazed. I don't have much of a 'heart' for animals. I would have never considered stopping to help these slow little creatures who have a slim chance of successfully traversing a busy street. But now, because she does it and she loves it, I do it now, too. I must confess, though, I haven't saved a single turtle this summer. I've seen several, but most of the time I wasn't behind the wheel, and my screams of, "THAT WAS A TURTLE CROSSING THE ROAD! GO BACK!" are often ignored by... everyone. My track record for the summer 2011 season is dismal, but I haven't given up yet! I think it's an important part of friendship to care about the things that your friends care about. And you know what? I love caring about what Nicole cares about. Not just rescuing turtles, but I love caring about her heart and her marriage. Her dreams and her goals. It is so fun to embrace someone else's interests. I want to start noticing and celebrating the little things/quirks/passions such as this in all of the people I love.